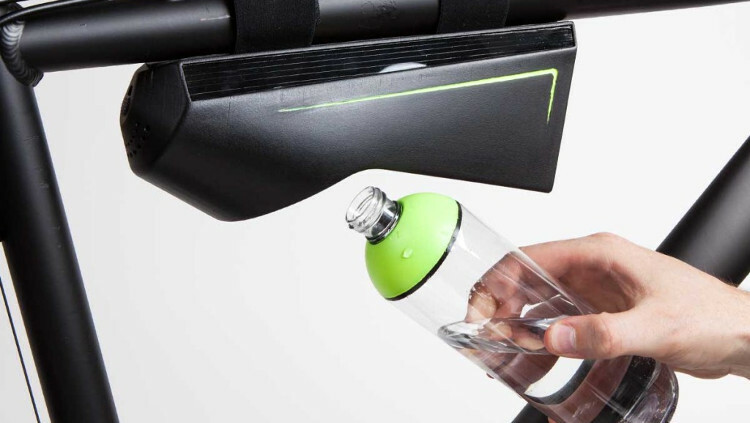 The Fontus aims to be cyclists’ new best friend, with the self-filling bottle providing fresh drinking water from out of thin air. 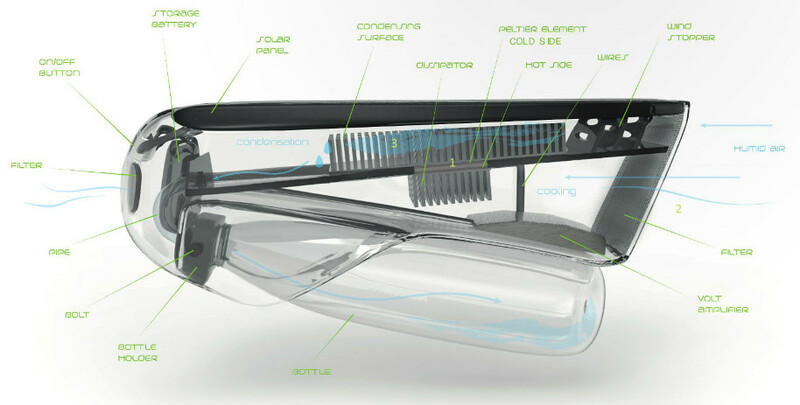 Created by Austrian industrial designer Kristof Retezár, the Fontus collects the moisture contained in the air, with this moisture then able to be transformed into drinkable water within an hour. This process works by way of a small cooler located in its center, branded the Peltier Element. This cooler is divided in two, with its upper side cooling down and its bottom side increasing in temperature when it is powered by electricity, with the high speed movement of the user’s bicycle cooling the hot side down. As the hot side is cooled, the upper side becomes even colder, creating condensation. This combines with the hydrophobic “teeth,” which contribute to turning the water vapor into actual drinking water. The whole system is powered by a small solar panel which is positioned on the top of the Fontus. While the Fontus will prove to be a useful tool for cyclists, Retezár believes that it can also be used in areas with little water but high humidity, with it reportedly able to create 0,5 liters of water in such conditions. This could potentially be hugely beneficial to countries with a limited supply of clean drinking water. Retezár plans to set up a crowdfunding campaign to get the Fontus off the ground in the near future, with him looking at a speculative pricing of under $100.